Raw Matcha Brownies. This gluten & dairy free dessert tastes as good as it looks! 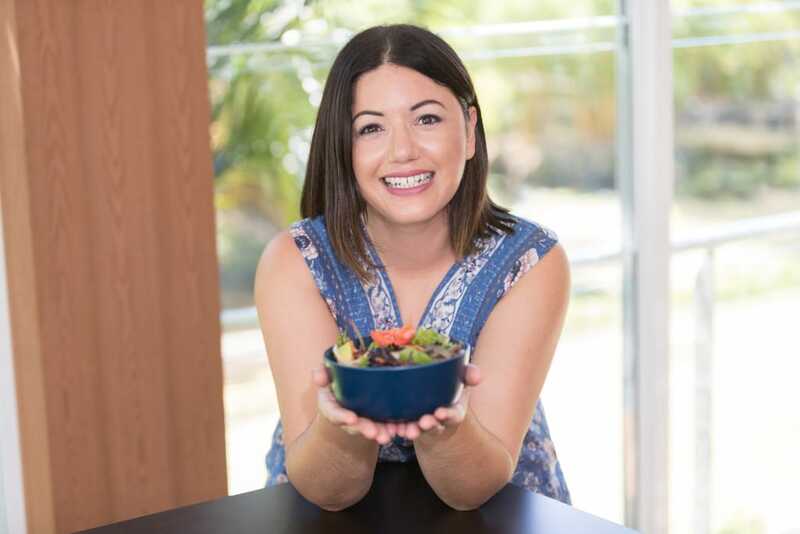 It is packed with lots of healthy goodness and is super easy to make. YUM! This is a sponsored post with Optimoz. 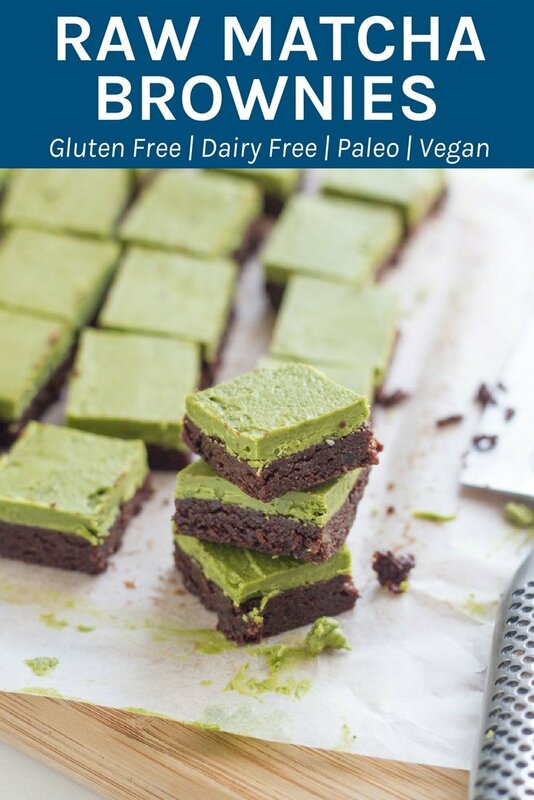 My oh my these Raw Matcha Brownies taste delicious! Not only are they delicious, but they are super easy to whip up and they so look so pretty too. I only discovered Matcha Green Tea last year and boy am I hooked. Matcha Lattes have become a daily ritual for me and I am now discovering more ways to use Matcha in my cooking. So, what is Matcha Green Tea? Matcha green tea is typically grown and processed in Japan. It contains approximately 25 mg of caffeine per gram, which is around 1/3 of a standard cup of brewed coffee. Matcha green tea is high in antioxidants, chlorophyll and amino acids, namely L-Theanine, which is said to promote relaxation and alertness. It also contains 4-5 times more L-Theanine than regular green tea. For my Raw Matcha Brownies, I decided to use the base layer of my Raw Chocolate Brownies with Chocolate Ganache and then add the matcha layer on top. These amazing treats are also gluten, dairy and refined sugar free and suitable for paleo and vegan lifestyles. Process pecans in a blender or food processor until they resemble fine crumbs. Next, add the cacao powder, vanilla and sea salt and process until well combined. Then, add the dates and process until a sticky dough is formed. Spoon mixture into a lined square baking tin and smooth with the back of a spoon. Place in the refrigerator to set for a minimum 2 hours. Next, add the matcha powder and whisk until well combined. Spread over the brownies and place back into the freezer for approximately one hour to set. Then, slice the brownies into squares and serve. 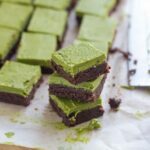 The cook time does not include the time it takes for these raw matcha brownies to set in the freezer.